What you studied at school and university doesn’t prepare you for working life because it doesn’t take human nature, politics and how organisations really work into account. If you look at rows of people sitting in cubicles at computers it’s very hard to differentiate between people who are doing useful work and those who are wasting time. Being busy and active doesn’t necessarily mean a worker is really efficient or doing something actually useful. Meetings are often of little value yet some people love them because meetings fill up a schedule so they look busy. Next time you’re in a meeting that seems pointless, consider how much each person in the room gets paid per hour and add all that cost up. If the meeting costs much more than any value gained from it, it shouldn’t have been held at all. What you need is the knowledge of how to deal with these situations to avoid headaches and frustration. This is what I recommend you do – watch all the TV series below and carefully take mental notes about what happens and how you can use the lessons learnt to your benefit in real life. Yes Minister and Yes Prime Minister are comedy series broadcast by the BBC in the 1980’s following the career of fictional member of Parliament Jim Hacker (played by the late Paul Eddington). In Yes Minister, the naive Hacker joins the cabinet as a Minister for Administrative Affairs after his party wins the election. The series shows how he slowly learns about the realities of politics and trying (usually failing) to make his Permanent Secretary Humphrey Appleby implement his ideas and party policies. 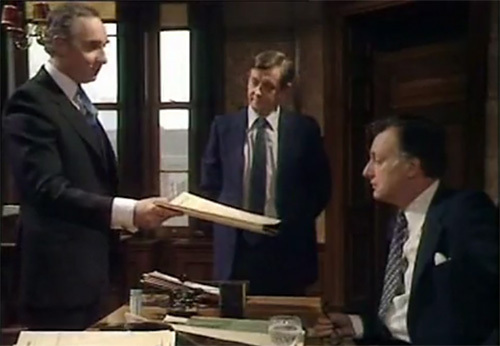 In the video clip below, Sir Humphrey educates the idealistic Bernard in how to take minutes from a meeting and get what you want. Buy the The Complete Yes, Minister and Yes, Prime Minister to watch and enjoy at home. trying to match employees romantically based on their genetic compatibility to create the perfect future employee. 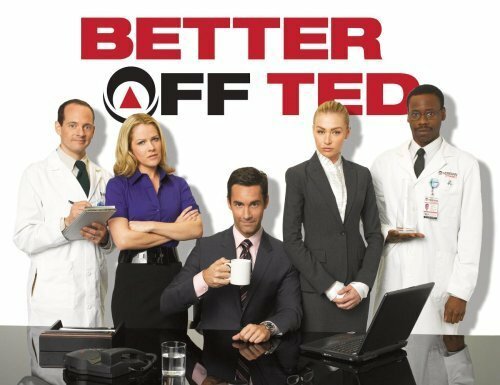 Buy Better Off Ted Series 1 to watch and enjoy at home. The Games charts the progress of the fictitious Logistics and Liaison Division of Sydney Organising Committee For The Olympic Games (SOCOG) in the run-up to the Sydney Olympics in mockumentary style by documenting the exploits of 4 members of The Games Management Team. Buy The Games: Series 1 to watch and enjoy at home. For over 25 years John Clarke and Bryan Dawe have broadcast a satirical weekly interview in which prominent figures speak about matters of public importance. John pretends to be someone being interrogated and Bryan is an interviewer behaving with grace under pressure. The lines are delivered by both men in a straight manner and the dialogue is comedy gold. In the famous Clarke & Dawe video below, John plays the part of a politician discussing an oil spill. Buy The Almost Definitive Clarke and Dawe Collection to watch and enjoy at home. Buy The Dilbert Complete Series to watch and enjoy at home.